It looked like the New Yok Yankees’ season had ENDED on Sunday Night in Boston when they got SWEPT in a FOUR game series by the Red Sox, but a plane trip to SECOND city has changed the MORALE in Yankeeland. The Bronx Bombers SWEPT the Chicago White Sox in a THREE game series as they look to HOLD ON to the FIRST Wild Card spot while still DREAMING about the AL East crown. ALL season long, the Yankees have LOST only TWO series to teams that will make the Postseason and have been TERRIBLE against UNDER .500 teams. After getting SWEPT by the Red Sox, the next TWENTY FIVE games for the Yankees are against UNDER .500 teams and they got off to a RIGHT start in Chicago before RETURNING to the Bronx. Game 1- The Yankees were coming off the WORST series of the season and needed to BOUNCE BACK in the SOUTH side of Chicago or their season MIGHT be OVER. Lance Lynn got the ball for the Yankees on Monday night, who NEEDED a streak STOPPER and Lynn did EXACTLY that. Lance Lynn has now retired a new career-high 1️⃣9️⃣ straight White Sox. He put the Bronx Bombers on his back and threw SEVEN and a third SHUTOUT innings and got his FIRST win as a Yankee. Lynn has NOT given up a run after being traded to the Yankees and MIGHT be the starter that the Yankees DESPERATELY needed. The offense was LACKLUSTER in Boston but the flight to Chicago seemed to wake them up and they put up a SEVEN spot on the LOWLY White Sox to WIN 7-0. Aaron Hicks got the scoring STARTED for the Bombers and they did NOT look back from there. The Yankees had SNAPPED their FIVE game LOSING streak and things were looking A LOT more POSITIVE in Yankeeland then they did on Sunday night. Game 2- The Yankees had SNAPPED their LONGEST losing streak of the season, but now needed to BUILD a WINNING streak if they have ANY chance of catching up to the Red Sox. CC Sabathia got the start for the Yankees and he was NOT good in his last start against the Red Sox, but he was GREAT on Tuesday night against the White Sox. CC gave up only ONE run in FIVE and TWO thirds innings and that is EXACTLY what the Yankees needed from him. Despite scoring SEVEN runs on Monday night, the Yankee offense was COLD on Tuesday night. They were being NO HIT till the SIXTH inning and scored their FIRST run of the game in the SEVENTH inning. The game was TIED at 1 after NINE innings so the Yankees were going to EXTRA innings for the SECOND time in THREE days. After LOSING to the Red Sox in TEN innings on Sunday Night, it looked like the Yankees were going to WIN in TEN innings over the White Sox when Giancarlo Stanton hit a TWO run Home Run in the TOP of the inning, but the game was NOT meant to END in the TENTH. Zach Britton had been a GREAT closer for the Baltimore Orioles over the past DECADE, he was brought to the Yankees to be the EMERGENCY closer in case Aroldis Chapman is STRUGGLING, which he did on Sunday night. Britton gave up a TWO run Home Run to the White Sox and we were going to the ELEVENTH inning. Sonny Gray who was REMOVED from the rotation because of his STRUGGLES came in to pitch in the ELEVENTH inning and Yankees were SICK to their stomach, but Gray had one of his BEST pitching performances as a Yankee. He pitched THREE shutout innings and got the WIN thanks to Miguel Andujar. The Yankees had WON the series against the White Sox and were looking for the SWEEP on Wednesday Night before returning to the Bronx. Game 3- Luis Severino is SUPPOSED to be the Yankee ACE but he had been TRASH in the month of July and in his FIRST start of August, he needed to BOUNCE BACK last night or ELSE the Yankees were in TROUBLE in terms of their BEST pitcher in the rotation. Sevy was SHAKY again in the FIRST inning, but he CALMED down after that ended up with THREE runs and got his FIFTEENTH win, which is the HIGHEST in the American League. Giancarlo Stanton had a TERRIBLE start to his Yankee career, but he is TURNED his season around and he was going to be the HERO on Tuesday night if NOT for the Bullpen GIVING UP the lead, but he made sure that he was the HERO on Wednesday Night. The Yankees ADDED another run to WIN the game 7-2 and SWEEP the series against the White Sox. This was their FIRST sweep since June 21st. EVERYTHING went WRONG in Boston for the Bombers, but EVERYTHING went RIGHT in Chicago, so the Yankees are NOT the WORLD BEATERS like the Red Sox but they are a REALLY GOOD team who SHOULD beat up on BAD teams like the White Sox and LUCKILY for them, TWENTY ONE of their next TWENTY FOUR games are against teams that are BAD, so they should continue to ROLL. 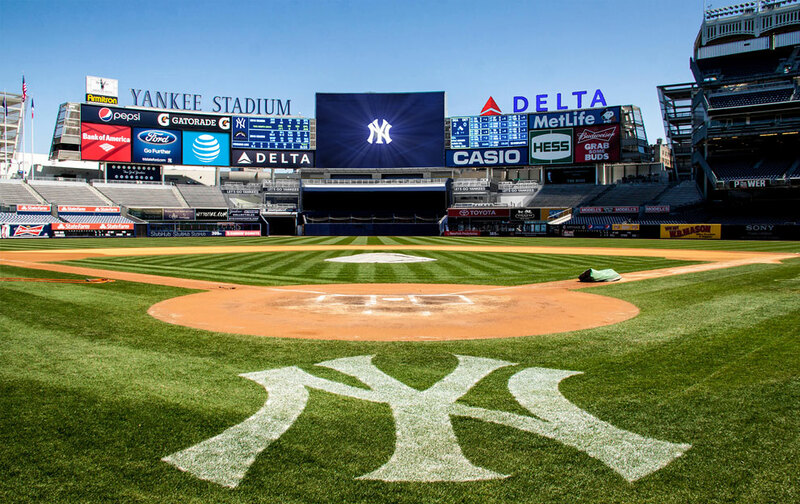 The Texas Rangers, who are a LAST place team come to the Bronx for FOUR games this weekend so the Yankees can CONTINUE to BEAT UP on BAD teams.